Vaquero Barbacoa in La Caja China - Latin Touch, Inc. I had my first barbacoa at a tiny tortilleria in Trinidad Valley, where the corn tortillas were hot off a centuries-old stone tortilla oven, it was...awe inspiring! The ancient dish of barbacoa, deep within the culture of Mexico. A traditional Vaquero (Mexican cowboy) way of eating barbacoa is having it served on a warm soft taco style corn tortilla with guacamole and salsa for added flavor; the meat or the tacos are often served in the banana leaves they were cooked in. 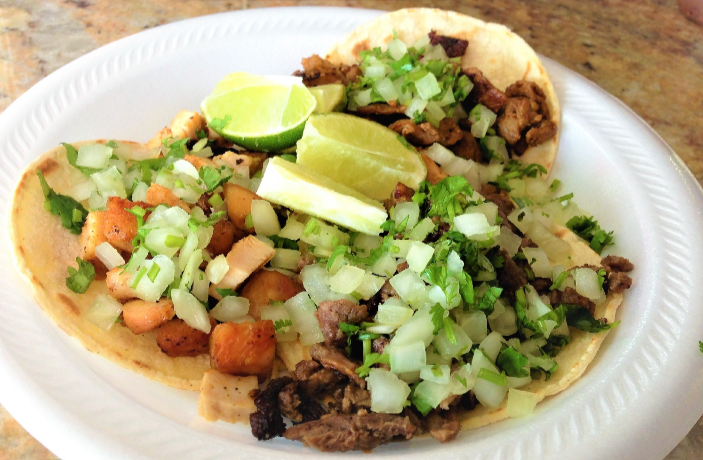 It is also eaten with onions, diced cilantro and a squirt of lime juice. 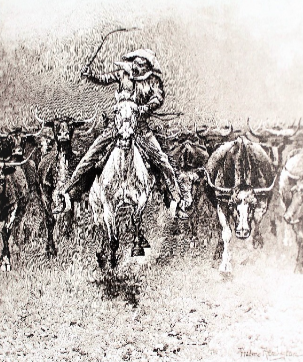 Beef was usually the steer’s head, brisket, or other cheap cuts that were free to the men. 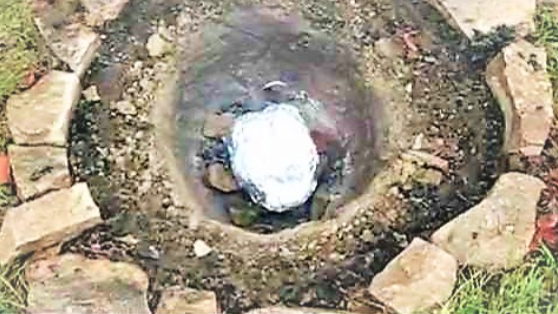 In the original, pit-cooking process, the meat was seasoned, wrapped in either maguey or banana leaves, then placed on a grill over a cauldron of water that is set over glowing coals in a pit about three feet deep. 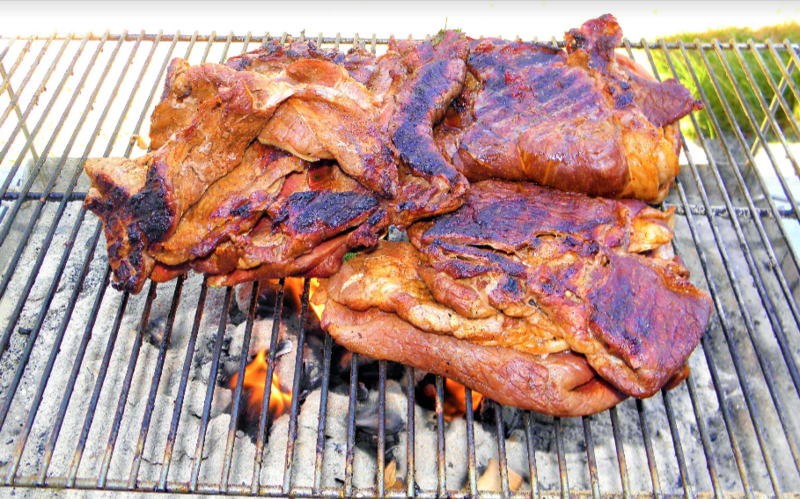 The following recipe uses beef for the barbacoa, and takes a bit less time to cook. 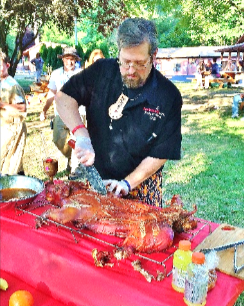 You can use a bone-in pork shoulder, as well. 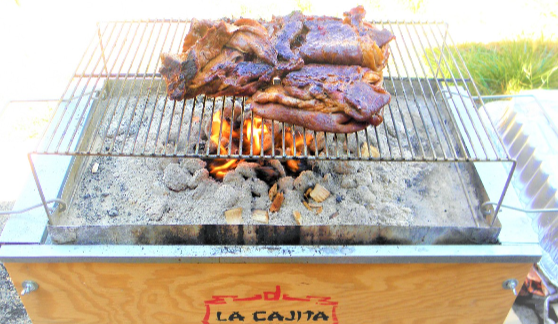 Obvious, La Caja China roasting boxes are the perfect modern replacement...and no need to dig a hole! Note: if you can find a Hispanic market that makes fresh corn and flour tortillas (we have one here in town), find it. You'll never go back to those tasteless, pasty imitations at the grocery store! Fire up your Caja with 14lbs of charcoal. Season the meat generously with salt and black pepper. Preheat grill-top over high heat and toss a small handful of mesquite chips or pellets onto the coals. Sear meat, in smoke, 10 minutes pre-side until starting to char. Turn one side of grill off, and reduce heat of second side to medium. Move meat inside the box and roast, with one hour, adding smoke if possible. Drape 2 banana leaves over a "deep-dish" disposable pan, pressing to the bottom, then add a layer of chopped onion. Remove roast from grill and place in the pan on top of the onion, then add the beer, chiles ancho, tamarind, bay leaves and garlic, fold banana leaves over the top and secure with a couple of toothpicks. Place pan, uncovered, in a pre-heated oven (425d) for 20 minutes. Once simmering, reduce heat to 175d and cover the pan with foil. Let simmer ten hours, turning the meat 2-3 times. After 10 hours, give the tamarind pod a few good smacks and pick off the shell, the stem and the thick fibers that run down its length. Remove the seeds and add the gummy pulp to the pan. Add the cumin and simmer one hour more. Then, fish out the bones, ancho chiles, bay leaves, and banana leaves. Pour off fluids, and place the pan, uncovered, back on the grill for about an hour to let the juices bake down and thicken. Stir frequently. Serve with chopped cilantro, fresh pico de gallo, white onions, lime wedges, and hot tortillas. If you're a chile-head, roast some whole jalapeños over the coals, slice, core (to remove the seeds) and serve on the side.